The ‘internal “Crisis Operations Group”’ seems to have been on a par with what was termed the Coffee Club, a group of international NGOs that were led by shadowy figures who were very hostile to the Sri Lankan government, and who actively promoted a petition to the Secretary General sent in September 2008 that was deeply critical of the Sri Lankan government. It was in essence drafted by Alan Keenan of the International Crisis Group in Colombo and a man called Peter Bowling in London who I was informed by an official in our High Commission (who was very positive about the West in general) was close to the Tigers. Typically, they tried to have the petition submitted by Sri Lankan NGOs so that their own involvement would be concealed. I drew attention to this, but unfortunately our systems could not deal with such instances of bad faith. It was also a pity that the NGO Secretariat at the time had neither the authority nor the understanding to deal firmly with such aberrations, but they would not cooperate with the very limited investigation that the President required be done by the Ministry of Human Rights. Naturally then the interim report the Committee that had been appointed prepared was not I think even read, and there was no follow up to this. So the Coffee Club, and those elements in the UN who were planning allegations three years ago, continued on their merry way. In 2009 there were efforts to expand the operation, with the introduction of new staff with skills that were obviously to be used against us. The most blatant example of this came when the Office for the Coordination of Humanitarian Operations suddenly asked me for a visa for a former military man to be Senior Humanitarian Affairs / Civil Military Coordination Office to be deployed in Vavuniya. Promote awareness and adherence to the IASC Guidelines on civil-military issues. Highlight and report on specific issues of concern. I replied promptly to Zola expressing my concerns, and indicated that any such official had to work under the supervision of the Competent Authority. She sent a response in which she indicated some changes in the Terms of Reference, but these were purely cosmetic, the offending clause above simply being pushed down the list, perhaps in the hope that I would not read through carefully. I had told Zola that I needed to consult the Ministry of Defence, which responded a month later to say that Mr Holdsworth’s visa was not recommended. I informed Zola accordingly, but then pressure came from another quarter, in the form of an email from a former student of mine working at our Mission in New York, who had previously sought to advise me that we should realize our strongest relationships should be with the West. He told me that OCHA in New York had questioned the refusal of a visa, and that Holdsworth was in fact an employee of the Department for International Development (DFID) of the British government who had been released to OCHA. I saw no reason to change the decision, but thought it important to keep the Ministry of Defence informed that OCHA had not previously told us about Mr Holdsworth’s principal allegiance. I pointed out to Zola that there had been some embarrassment in New York inasmuch as Mr Holdsworth, whom she had told me was an OCHA nominee, ‘had in fact been selected by DFID and was being funded by them’. The British did not give up. A few months later we were asked for visa for two more Britishers, one of whom had been in Afghanistanand publicly attacked the Head of the UN in Afghanistan for being supportive of the government, when his immediate boss, Mr Galbraith, had been critical of the government and clashed with the Head. In Afghanistan of course, given the Western underpinning then of the Karzai government, Mr Galbraith had had to go, but it was interesting that the British wanted to recycle Mr Horne in Sri Lanka. I had by then been told by media personnel, who had published highly critical reports of Sri Lanka which agency heads had disagreed with, that they were fed by junior members of staff ‘providing ammunition for unfair criticism because they disagree with their superiors’. I noted too that the second Britisher recommended, a Ms Toscano, who seemed to be an independent consultant with experience in conflict analysis and security and crisis management, would not be appropriate, when what we wanted, and what taxpayers around the world were supposed to be funding, was humanitarian assistance, not advocacy. I also asked, given what I was increasingly thinking of as the very suspicious role of DFID, for further information as to ‘how such secondees are processed. Does DFID seek concurrence from the Ministry of Foreign Affairs, or is it simply an agreement between the British government and the UN, which the latter puts to us for approval?’ I got no reply to this, though I was requested to help Zola, and therefore approved a 3 month visa for Ms Toscano. We stayed firm on Mr Horne, and it was either on this occasion, or with regard to Mr Holdsworth, that I told Zola, who came to see me in my office, that she had not responded to my concerns, and asked if she did not really understand them. She was an honest woman, and she simply looked down and nodded. That brought home to me how pressurized senior UN staff here were, trying to progress in their careers but subject to enormous political pressures. In this context I should record the admission of Zola’s previous deputy, a remarkably honest Britisher, who told me just before he left that the UN had got Sri Lanka all wrong, because most of them had worked previously in countries with no established government and regular provision of basic social services. Sadly, though our government did much for those who needed humanitarian assistance, at all levels and in all circumstances, professionalism had declined at the top. Though I regularly copied my letters to the Ministry of Foreign Affairs, pointing out infelicities in the manner in which the UN described the situation in Sri Lanka, in the manner in which IRIN (the media outlet of OCHA) operated, in the manner in which foreign governments provided OCHA with staff with no consultation of the Sri Lankan government, none of these issues were taken up. 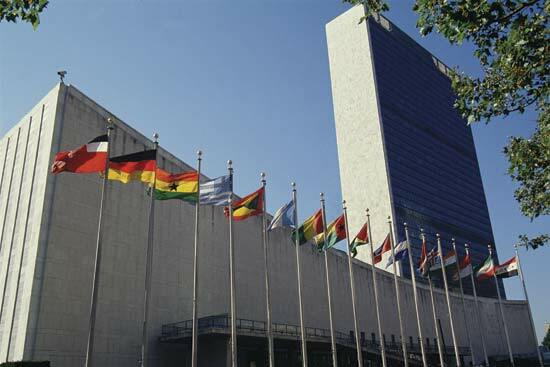 Perhaps it was inevitable then that we should be hit hard now by members of the international Human Rights establishment masquerading as a UN panel, with support from individuals within the system who need the support of such for their advancement. I have noted previously the sharp comment of the former Indian Representative to the UN in Geneva about the changing character of UN officials. I am sorry that we in Sri Lanka have not organized a programme of training to deal with the slings and arrows of these careerists.